Brothers is a film based on mixed martial art action. It was expected before its release that this movie will do good business. During the opening week this movie has really done well and did INR 52.08 core earning in Box office. In the overseas too, this movie has gained huge appreciation. This movie is the official remake of the famous Hollywood movie Warriors in the year 2011. 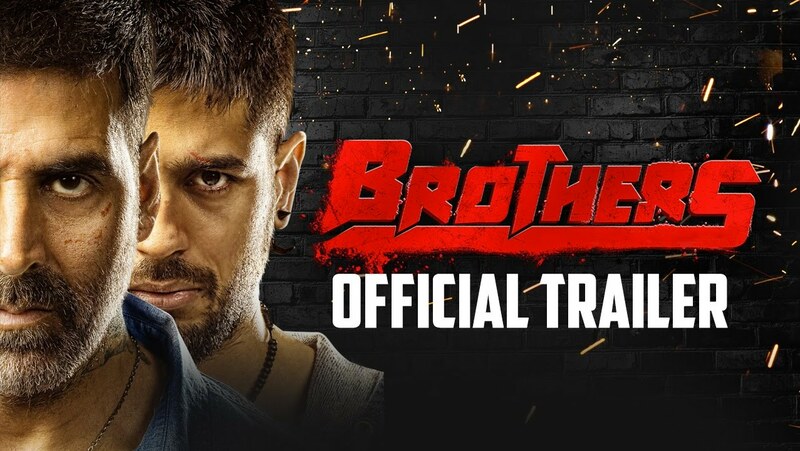 Plot: This story of this movie is based on the hatred between two brothers David Fernandes ( Akshay Kumar) and Monty Farnandes (Sidharth Malhotra). Their father is Gary Farnandes ( Jackie Shroff) who is recovering from being alcoholic. Jackleen Farrnandez who played the role of Jenny is the wife of David and she is a mother too of a cute girl. The little girl of David and Jenny is suffering from kidney disease for which both of them are trying hard to arrange for expenses. This situation led the two brothers to fight against one another in a fighting competition. Critic’s Review: This movie has gained huge appreciation from the critics. The performances of all the actors have been praised. Both action sequences and dramatic scenes have been performed nicely by the actors. From most of the critics, this movie has received 3 stars out of 5. Cast and Direction: The Director of this movie, Karan Malhotra directed the movie exceptionally well. He chose the actors perfectly so that they can suit to each character. All the actors played their character perfectly. Music by Ajay Atul and cinematography by Hemant Chaturvedi created positive impact on the audience. Why will you watch: If you like to watch awesome action with a perfect blend of family drama and emotion then this movie will be the perfect choice for you…..